As you get older, you may find maintaining your home is becoming more difficult. 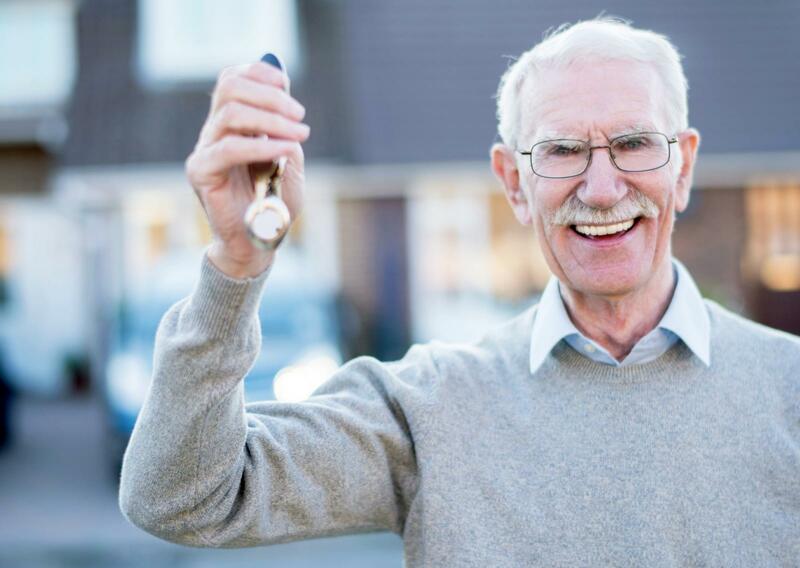 If you're interested in the possibility of downsizing, consider moving into senior housing for people over the age of 50. Not only will you be able to leave the building maintenance to someone else, but you'll also be surrounded by your peers, which can help you maintain close relationships as you age. 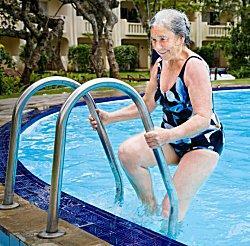 There are numerous benefits associated with living in a senior apartment community. Dealing with maintenance issues can be really frustrating. Lower interior and exterior maintenance costs means less stress for you and more free time to do what you enjoy. Apartments offer the convenience of living near a lot of neighbors who can look after your home when you're away. Some apartments offer several locked doors, security systems, building guards, and gates prior to getting into the building. Apartments offer a lower cost of living compared to purchasing a home with a mortgage. The cost of maintenance and taxes are also considerably lower in apartments. Living in an apartment can give you the ability to free up any equity you've built in your home. This can ultimately provide you with more financial freedom. Living in a senior apartment can offer you camaraderie with peers who may enjoy the same hobbies you participate in. This can provide you with a fun and active social environment. Some buildings may offer various amenities. This may include a clubhouse, a pool, and a gym. Organized activities may also take place. Living in a smaller home can be easier to clean and maintain on your own. Caring for a large home can be daunting and take up a lot of your time. Before choosing a specific apartment complex, potential residents should investigate these amenities to see if they meet their personal preferences and social habits. The more amenities a complex offers, the more expensive the rent will typically be; if you only will participate in one type of activity, look for a facility that doesn't offer a lot more than that one. While senior apartments may seem like an ideal living arrangement for aging adults, there are a few disadvantages to choosing this type of housing. Most apartments, even luxury rentals, are far smaller than houses. For most folks, it is necessary to cull your possessions and mementos in order to move into your new space. Furthermore, it may be sentimentally difficult to leave a home for an apartment, particularly if the house is filled with years of memories and happy occasions that make an apartment initially seem sterile and uninviting. 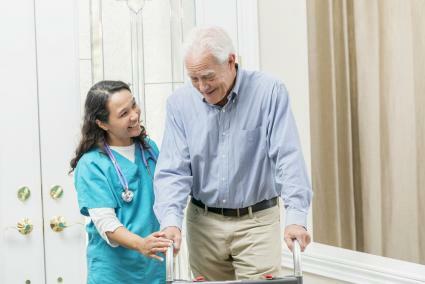 Seniors with health concerns also need to be aware that apartment complexes traditionally do not provide in-home health care like a nursing home does. If in-home health visits are necessary, you must arrange for them separately. If you have any difficulty climbing stairs, two or three-story apartment buildings can pose a large risk to your safety. There may be a limited number of first-floor apartments available as well. If you need in home health care, paying for it can be quite expensive on top of your rent. It may be more frugal to live in an assisted living facility where the cost of care is included in the rent. Seniors interested in choosing apartments specifically for seniors should be aware that different complexes have different requirements for residency. The most common requirement is an age restriction. Most senior apartments require that residents be at least 50 years old though the minimum may be as high as 55 or 62 in areas where there is a greater demand for such apartments. Some apartments may even restrict the age of all the residents living in a unit, meaning that grandparents may not be able to provide long-term care for their grandchildren if necessary. Contact individual apartment complexes in your region for specific residency requirements. Most apartments have restrictions on the size, number and type of pets allowed. If you have any pets, take this into consideration before you select an apartment. It can be a challenge to find senior-oriented apartments that emphasize independence and activity, but a good place to start is by asking directors of retirement homes and senior care centers for positive recommendations. Because many senior apartment complexes are funded through Section 8, you should be able to find at least a few complexes in your area. Is there ample parking available convenient to each housing unit? Is the parking handicap-accessible? What security features does each apartment and the complex as a whole offer? Is there ample closet space and other storage facilities? How accessible are individual housing units with regard to stairs, door widths, and bathroom facilities? Are there public transportation access points nearby? What city services (health centers, senior services, library, museums, etc.) are nearby? What controls are there on rent increases? Are the lease conditions acceptable? What maintenance will and will not be taken care of by the management? Are the buildings and grounds attractive and well maintained? Always investigate an apartment complex thoroughly and try to speak with current residents before signing a lease. If an apartment is not quite the best housing option for you, seniors should be prepared to consider other alternatives. Common senior housing options include remaining in the family home with a reverse mortgage, opting for retirement homes or retirement communities, or seeking housing with more intensive care if necessary or anticipated. Senior apartments are attractive housing options for seniors who want to keep their independence but wish to be part of a like-minded community without the hassle of maintenance and other household concerns.